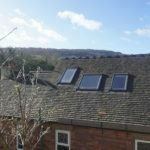 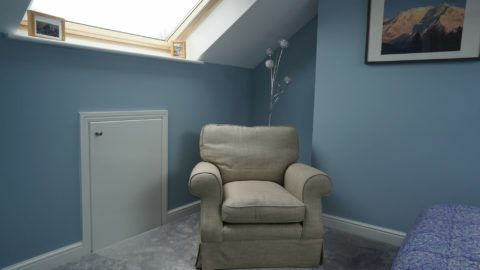 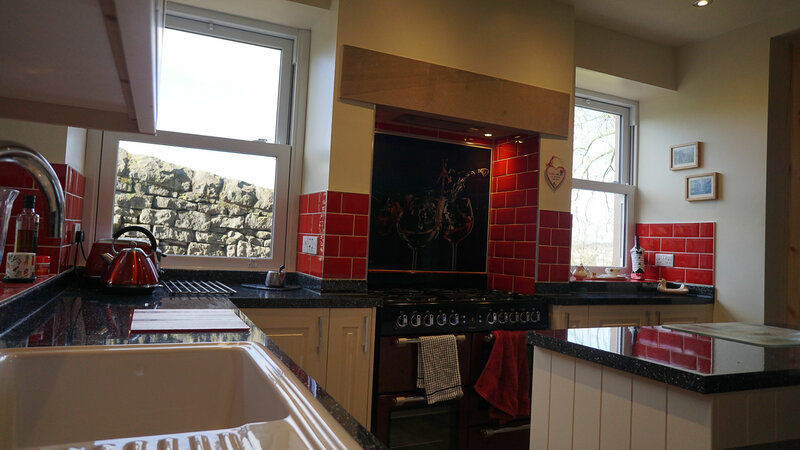 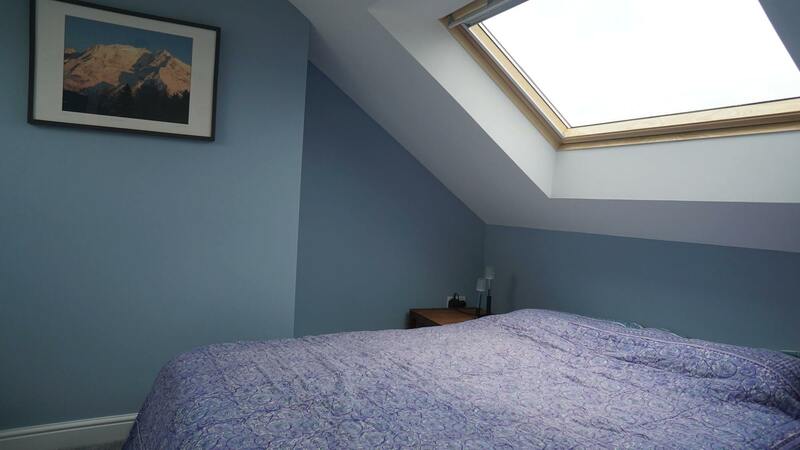 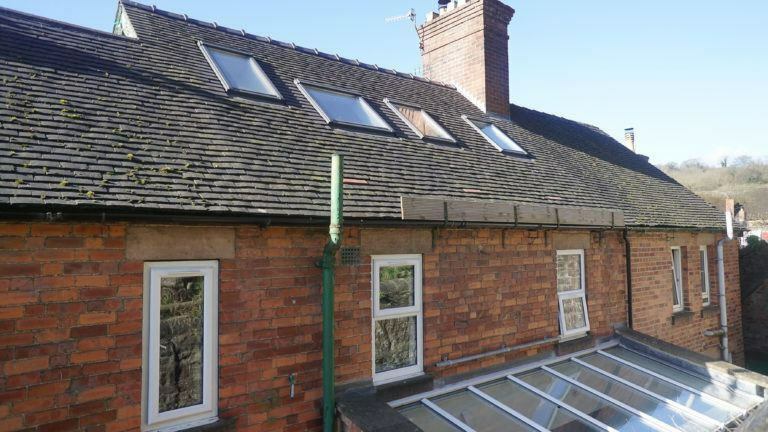 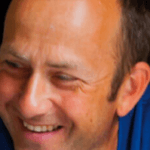 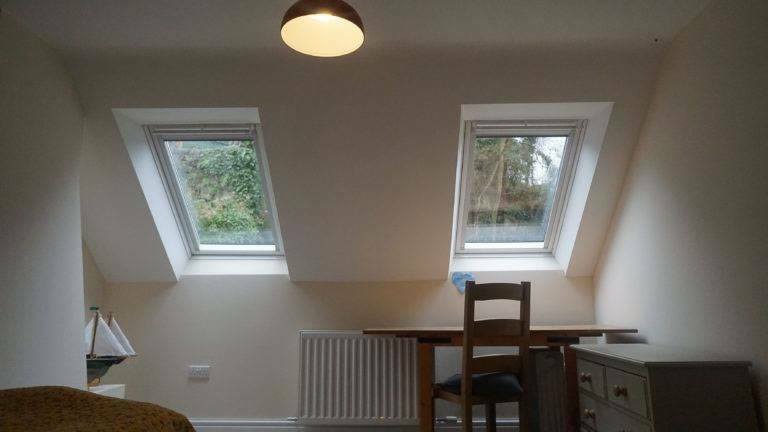 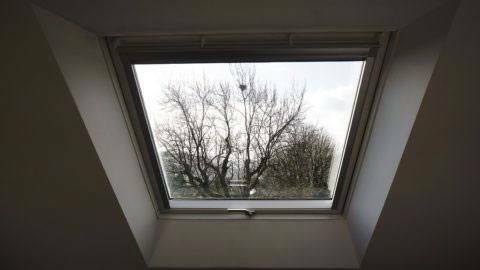 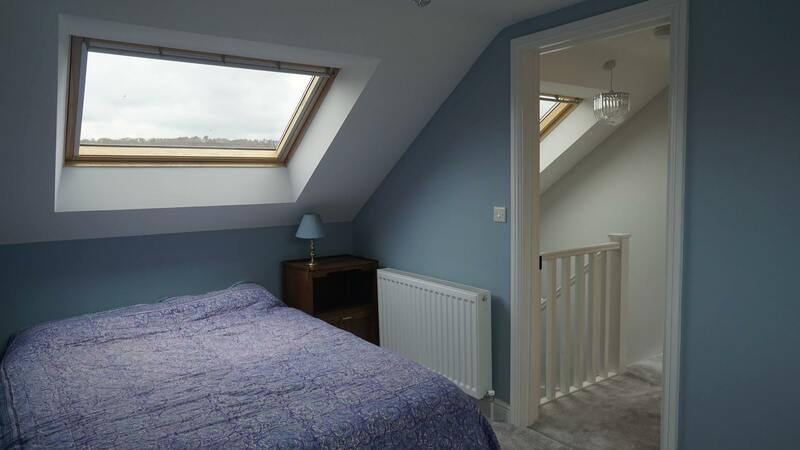 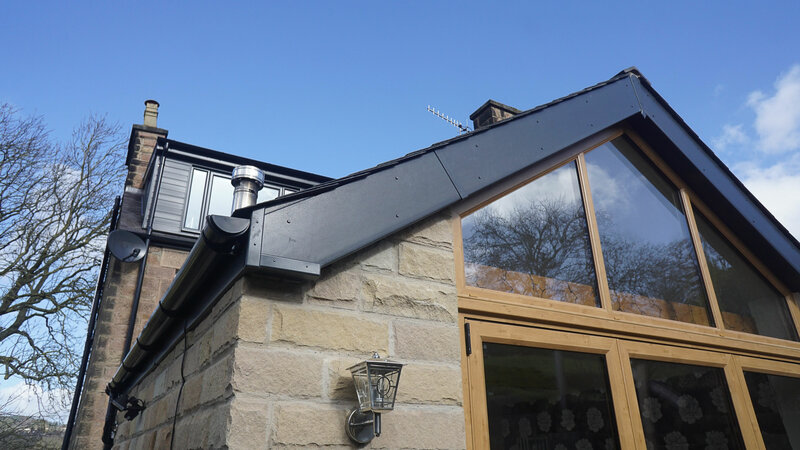 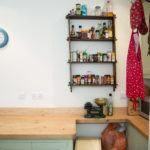 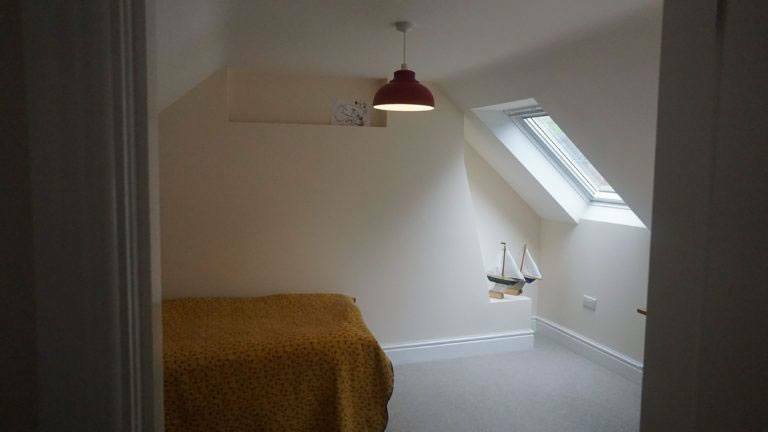 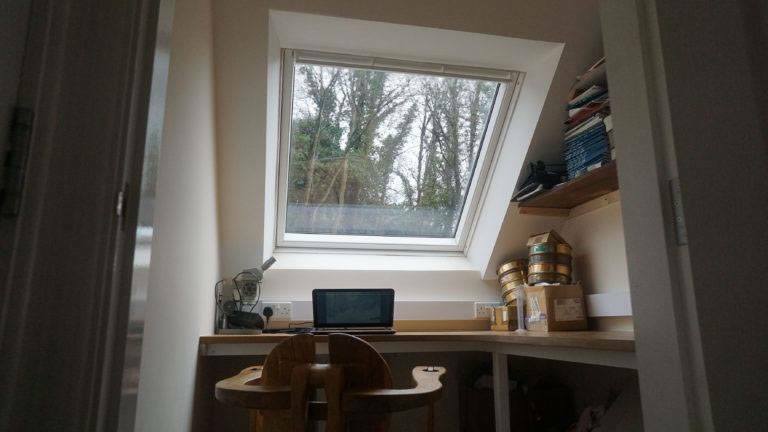 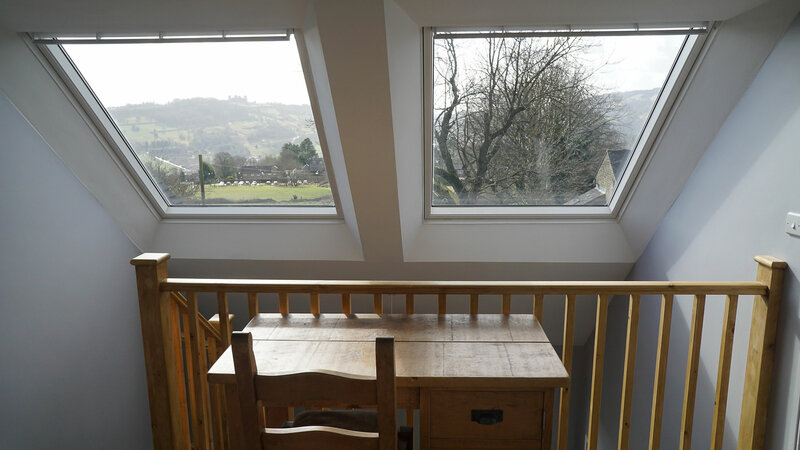 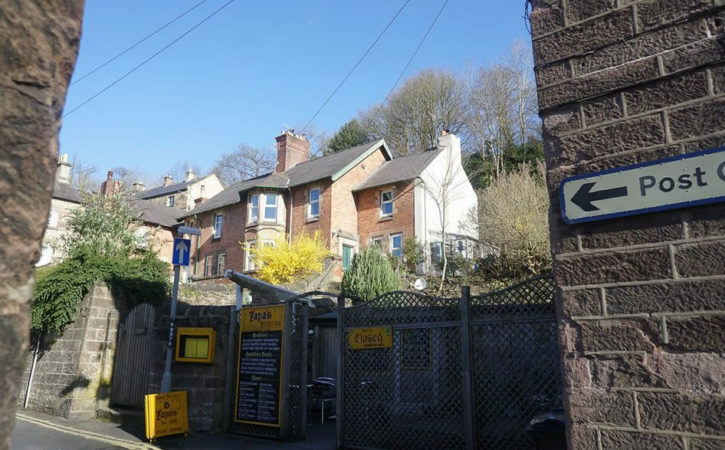 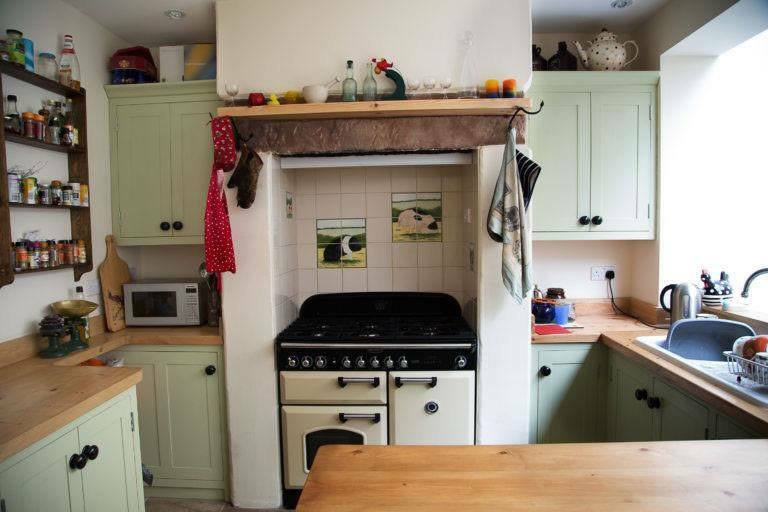 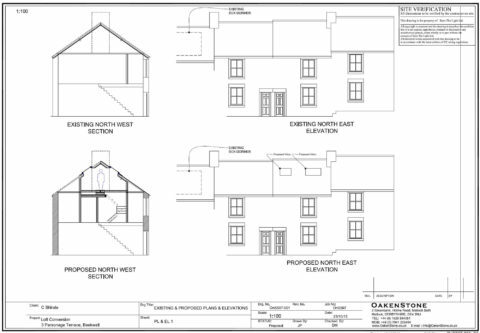 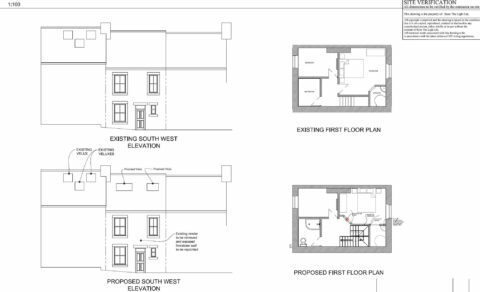 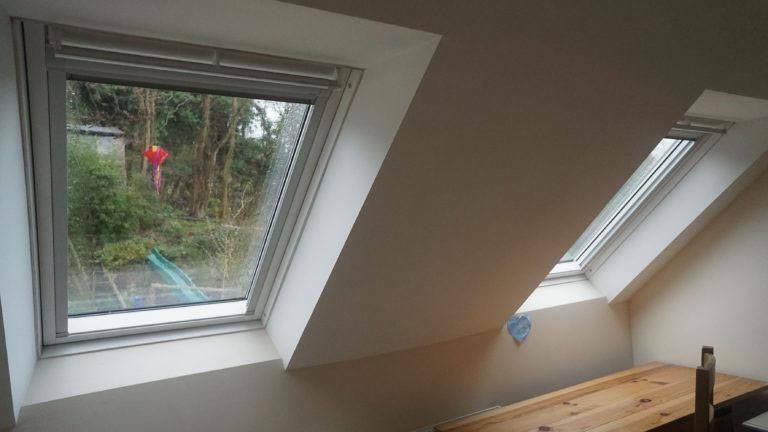 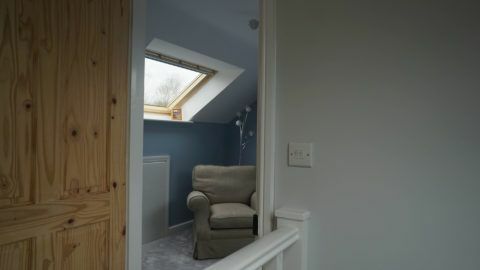 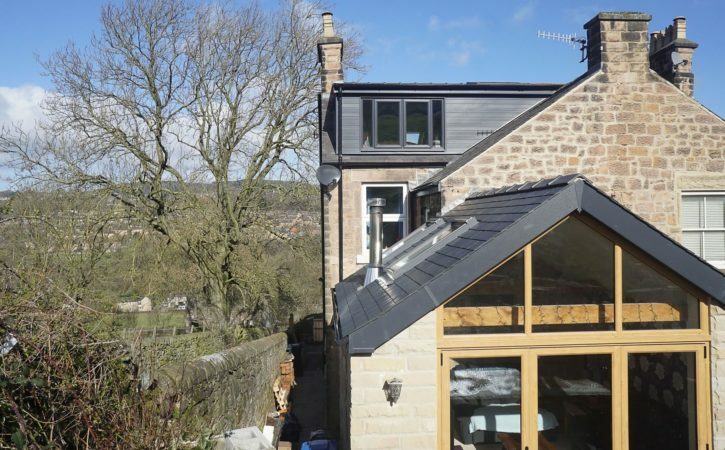 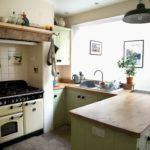 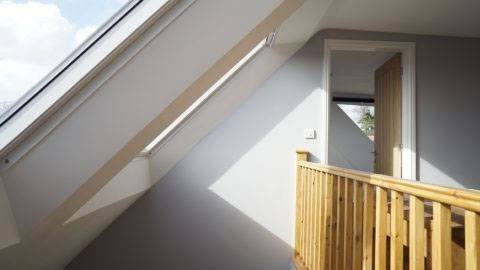 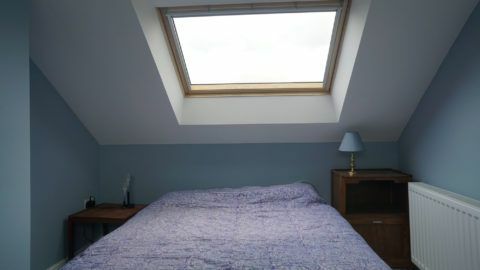 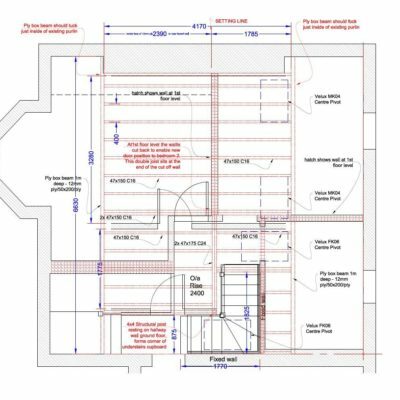 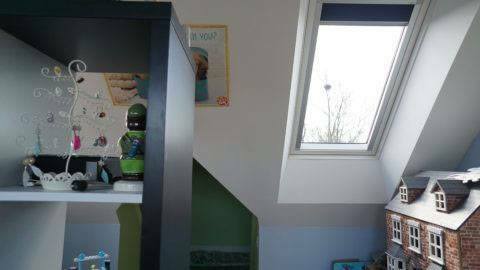 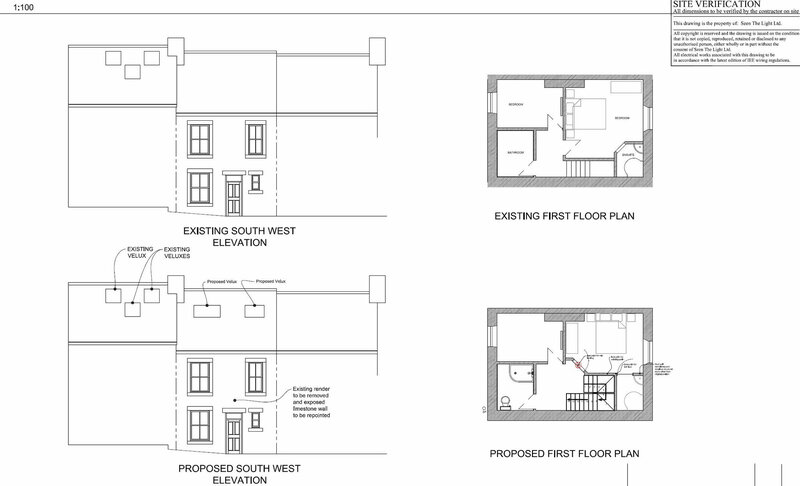 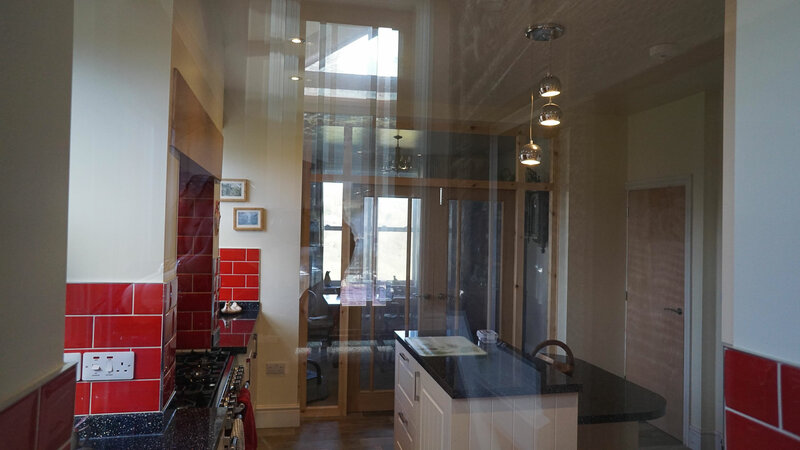 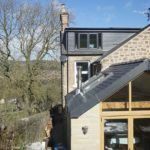 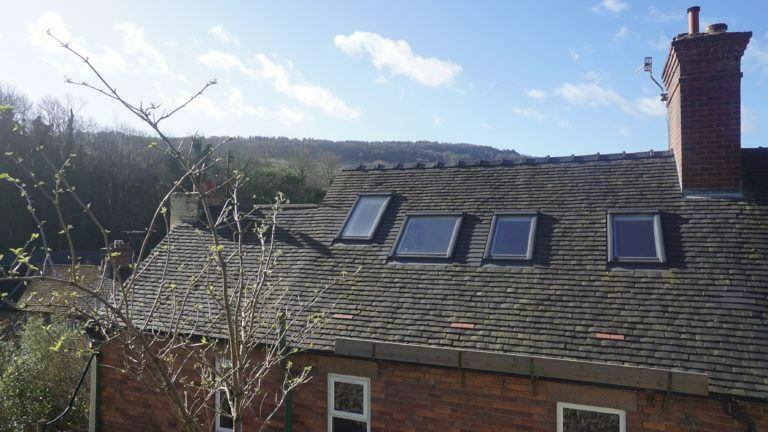 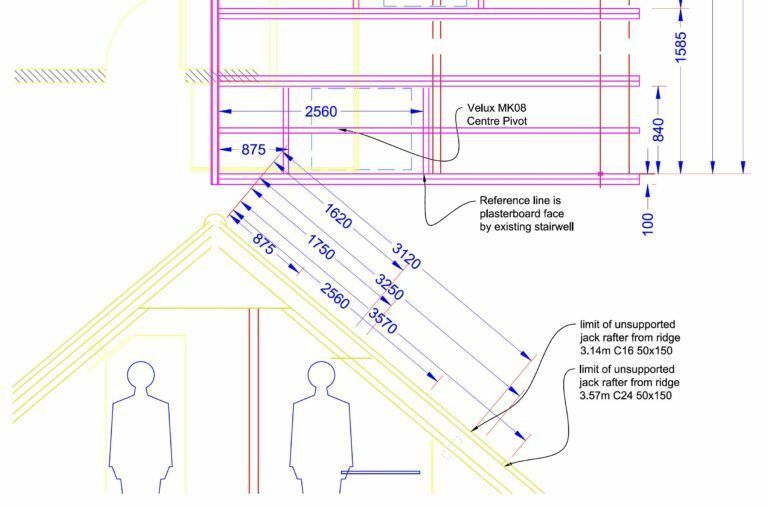 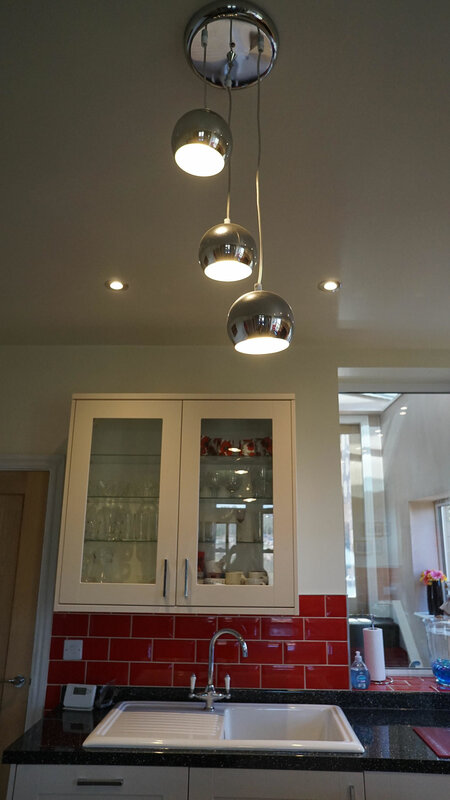 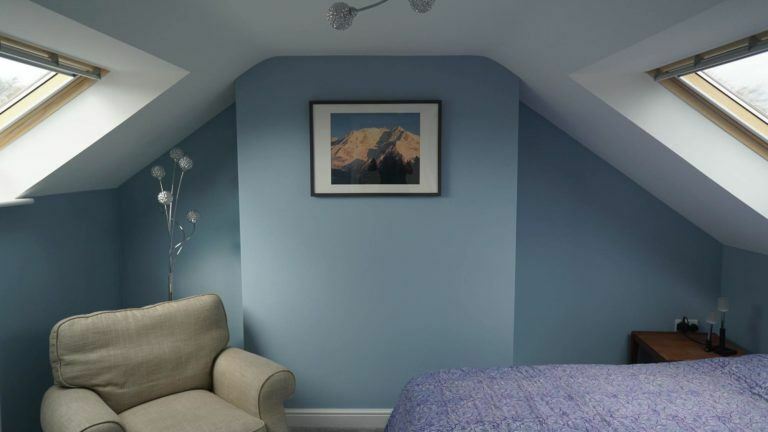 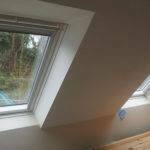 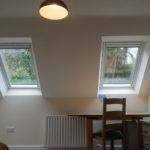 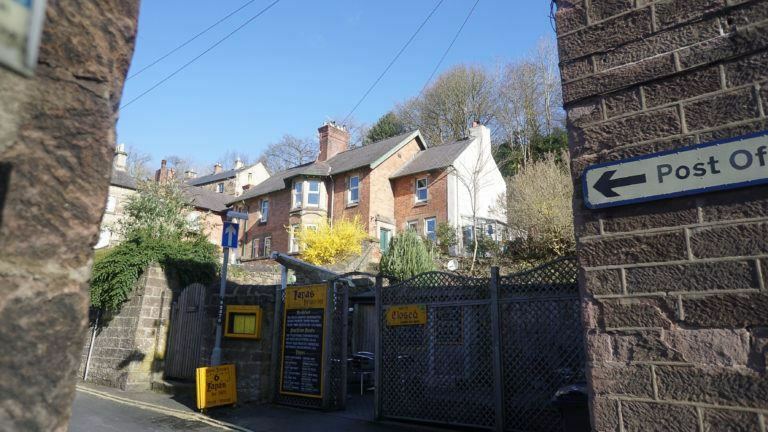 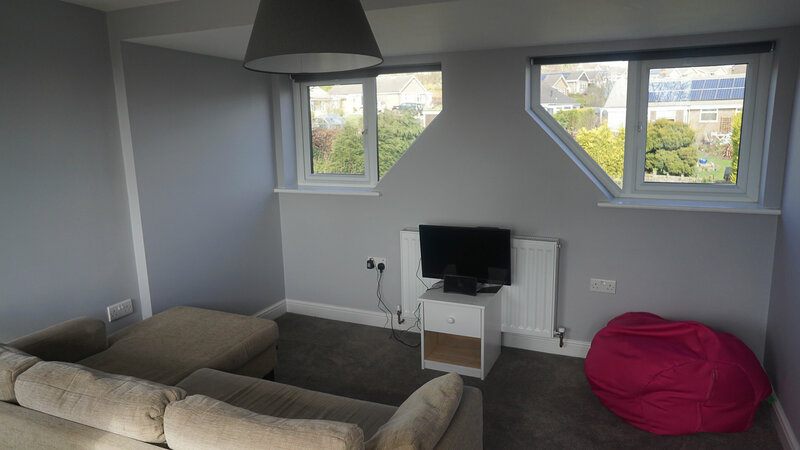 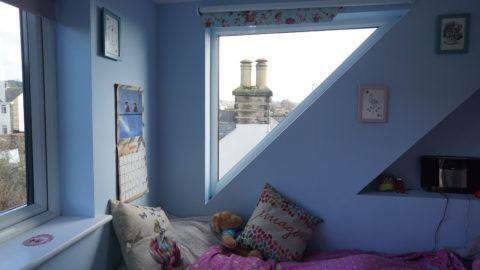 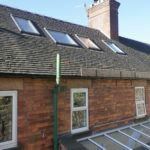 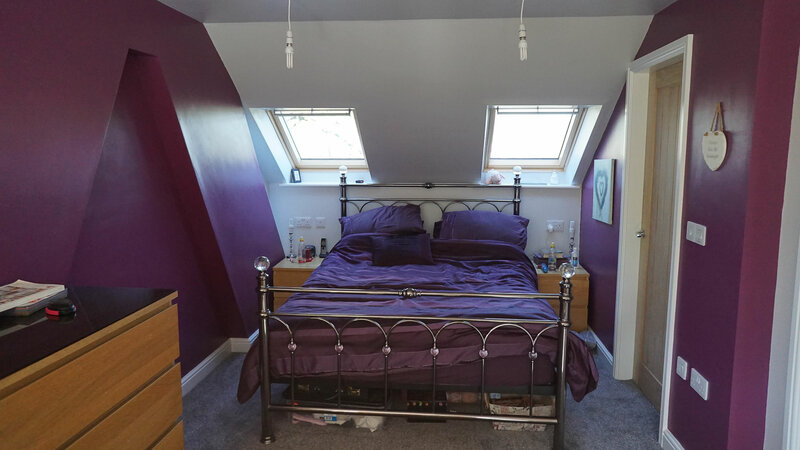 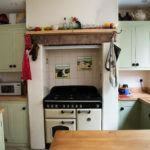 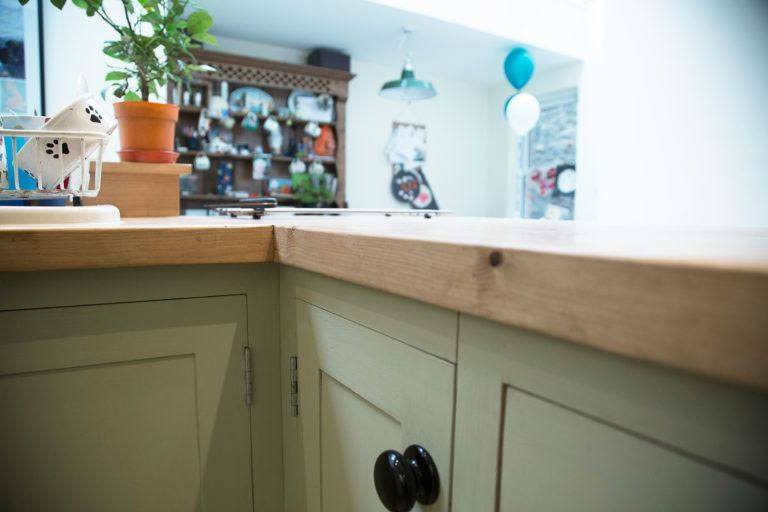 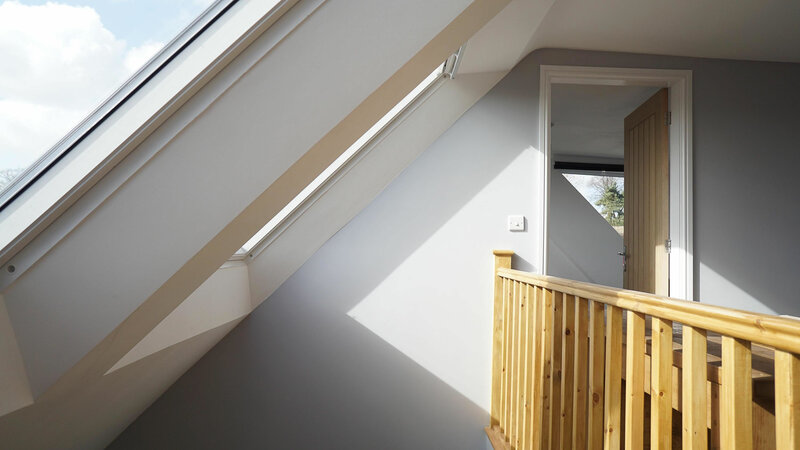 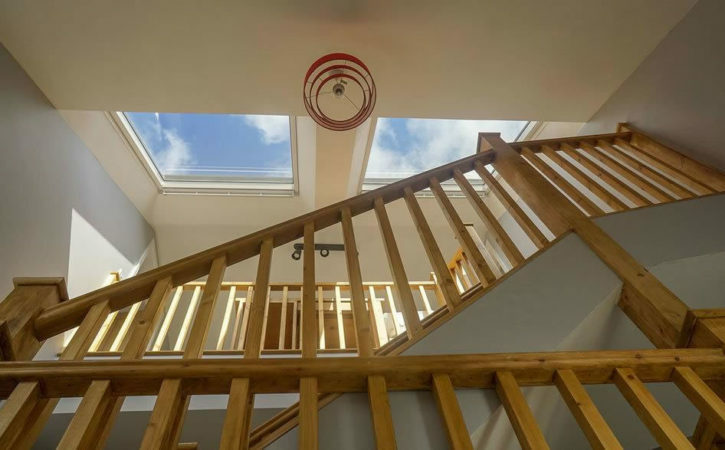 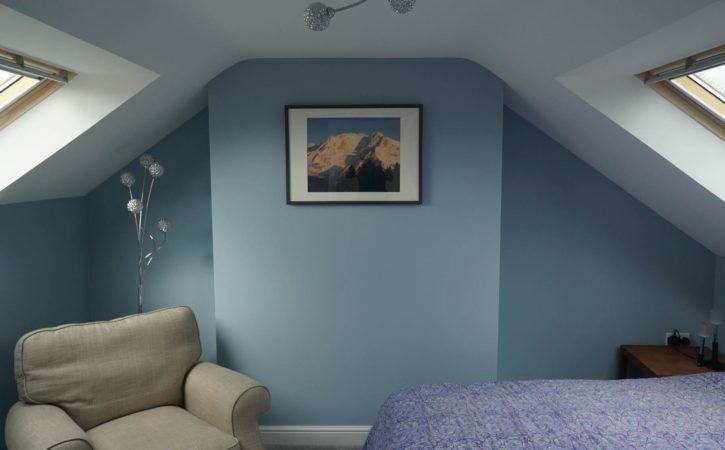 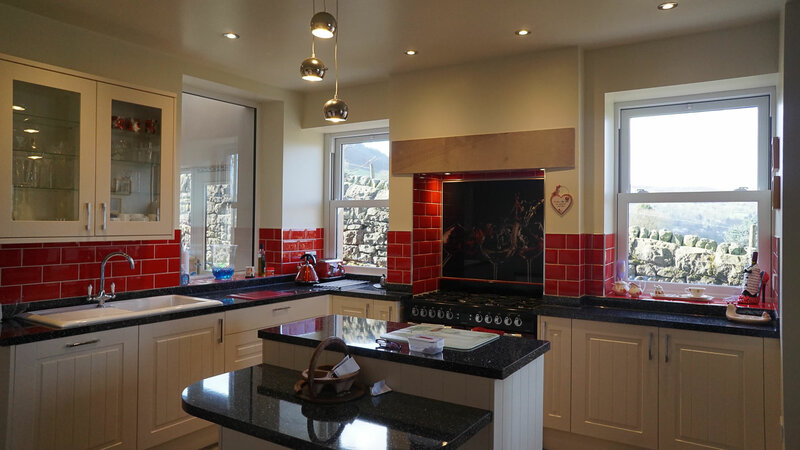 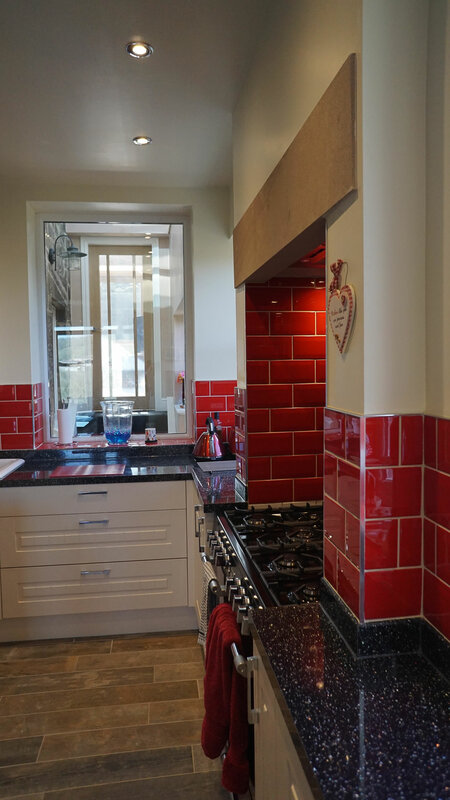 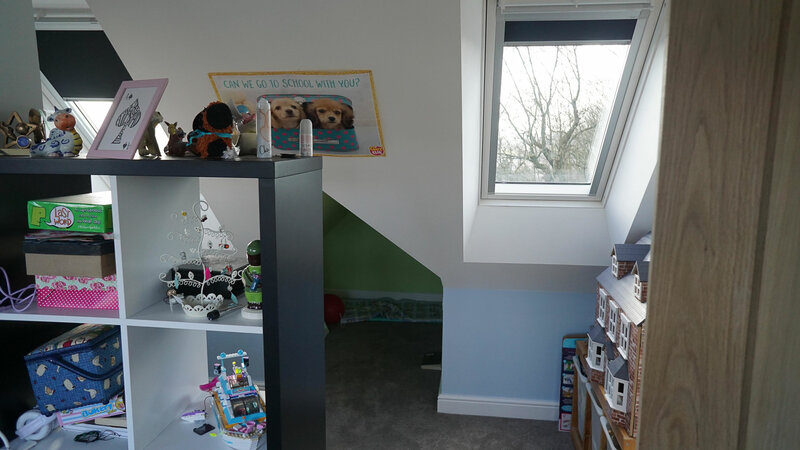 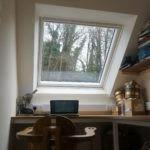 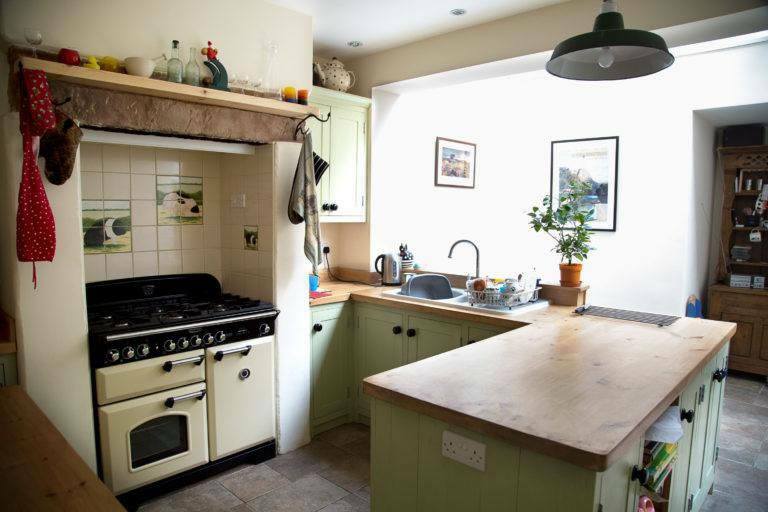 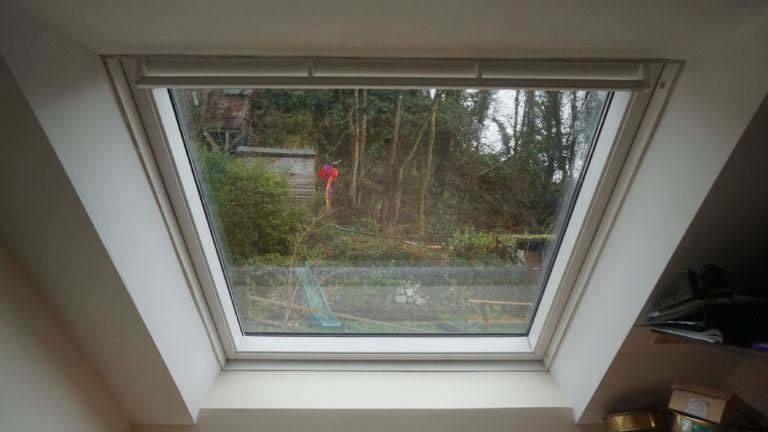 Our client had initially been told that her attic did not have the required height to create a loft conversion as she explained when she first contacted us. 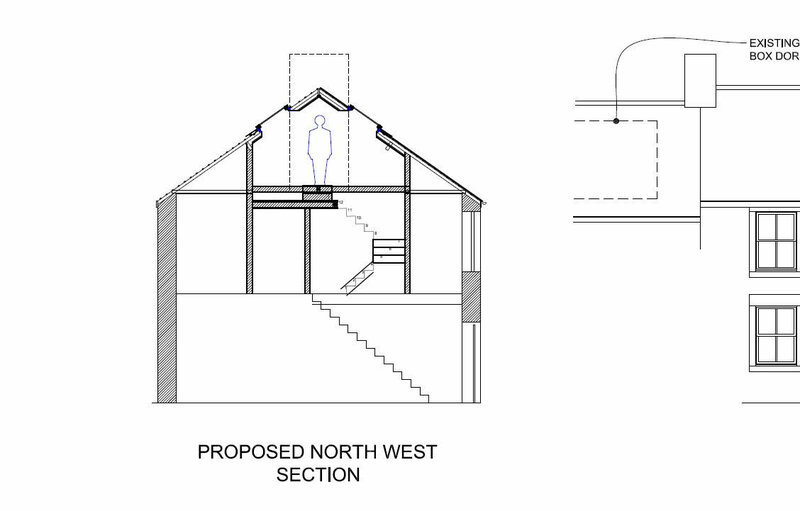 On our first consultation visit we could see the problem but also a clear solution. 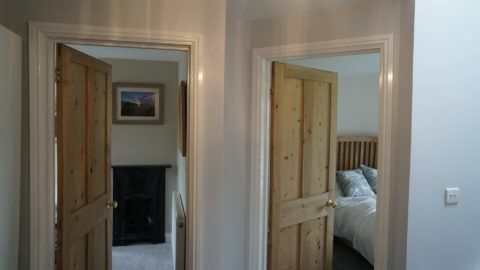 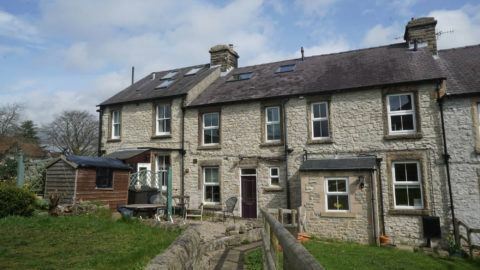 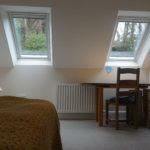 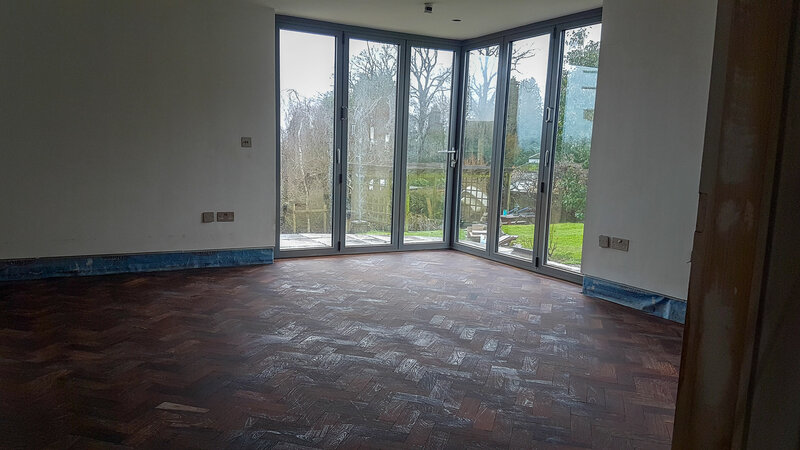 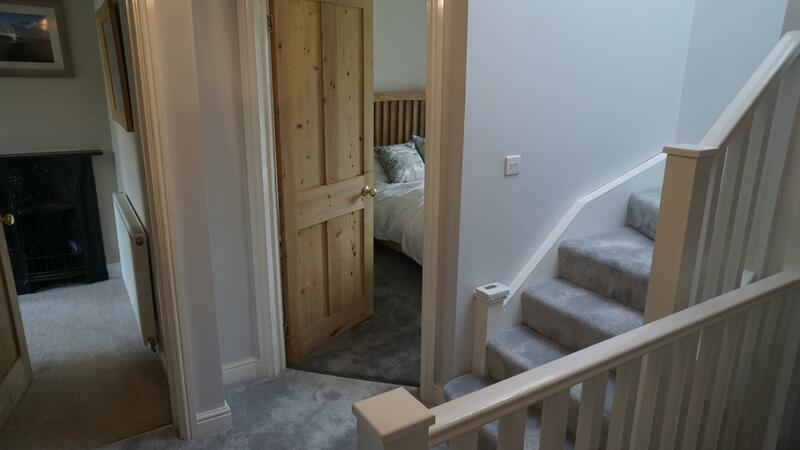 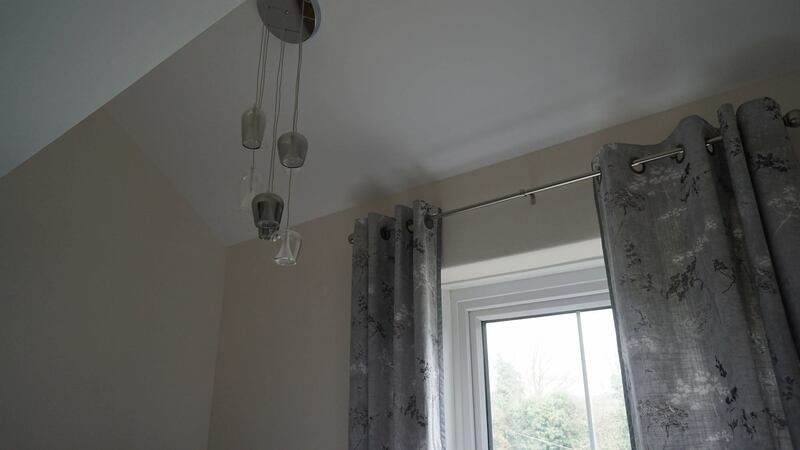 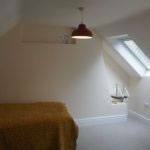 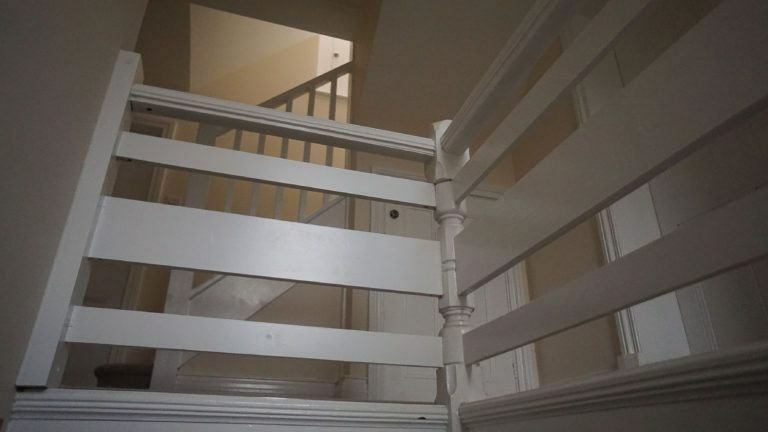 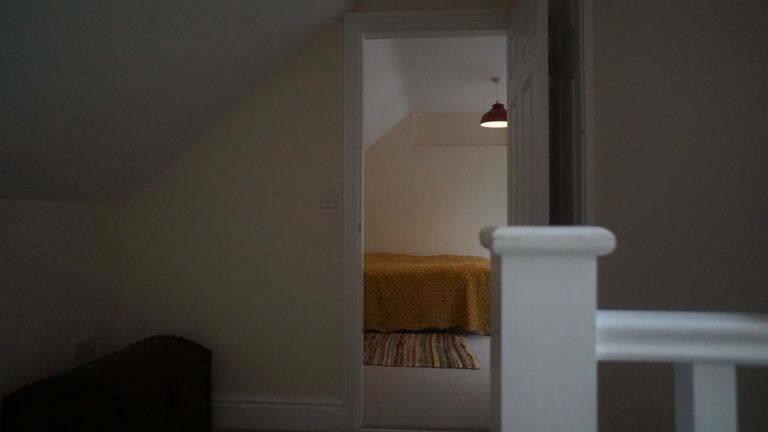 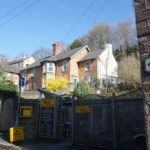 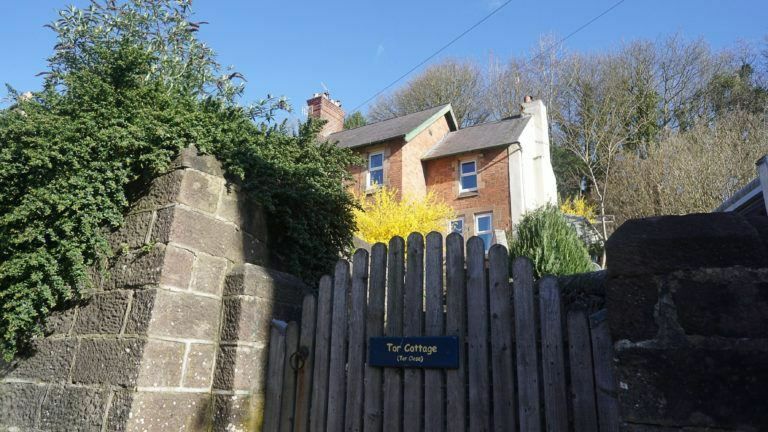 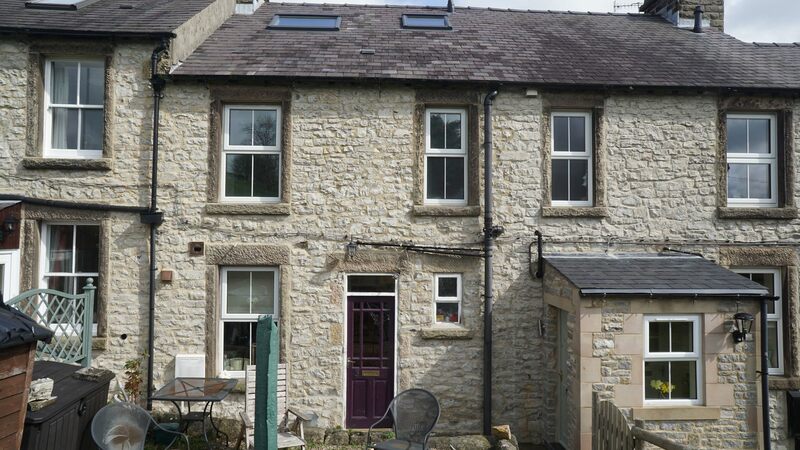 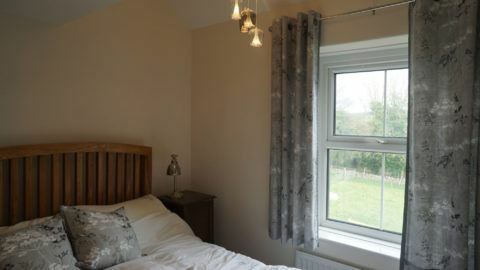 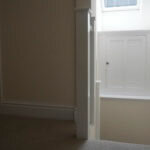 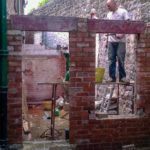 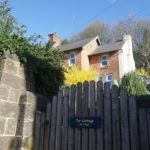 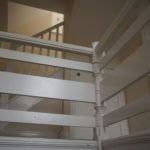 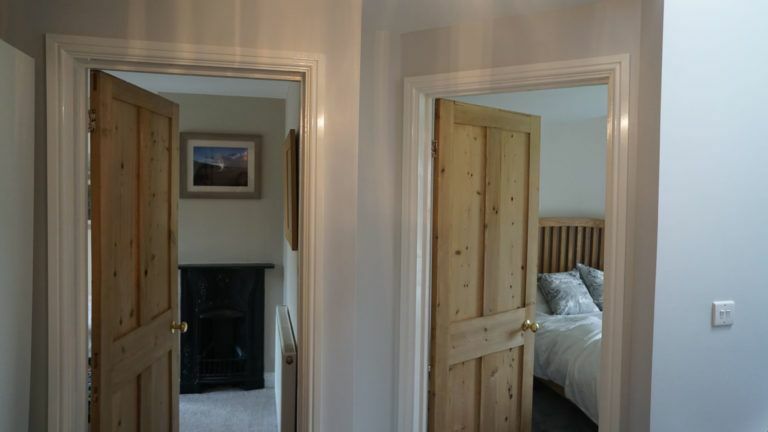 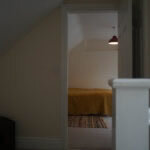 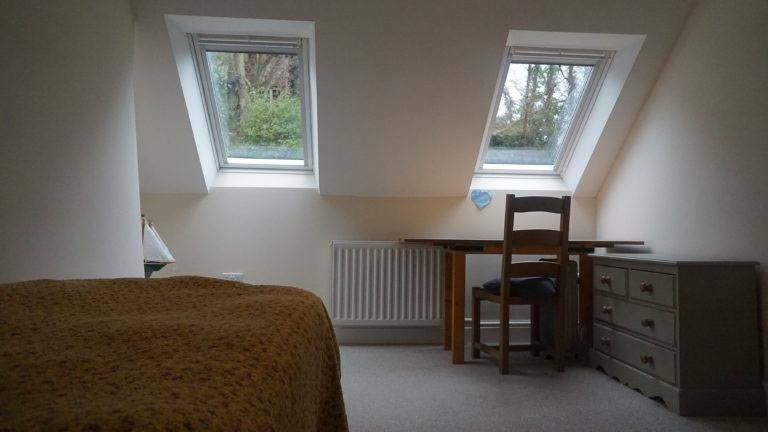 The bedrooms situated below the attic had high ceilings and by lowering them 6 inches we were able to resolve the height issue in the rooms above whilst still retaining a comfortable dimension in the two bedrooms below. In the master bedroom, we varied the height of the ceiling allowing a designed space next to the window for a full drop light fixture that gives the room a greater sense of space, light and visual interest. 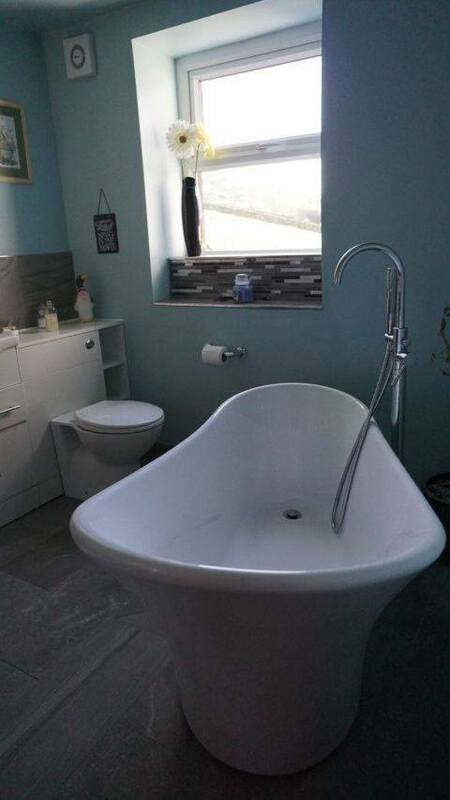 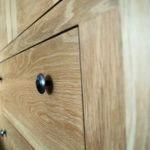 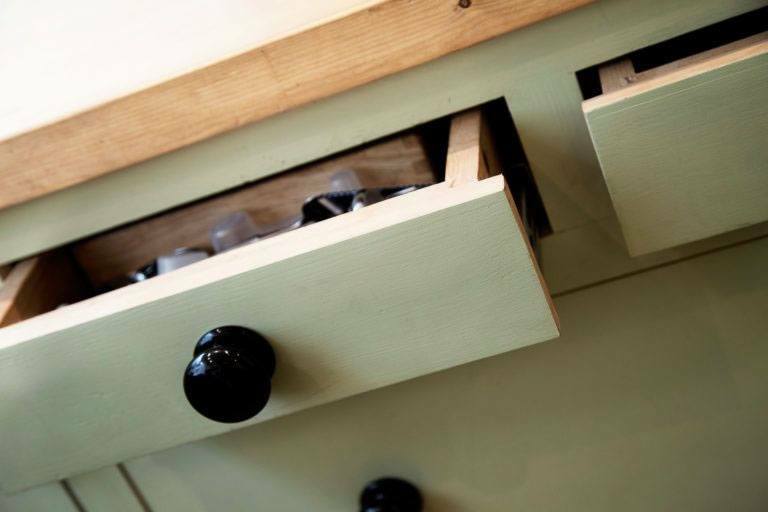 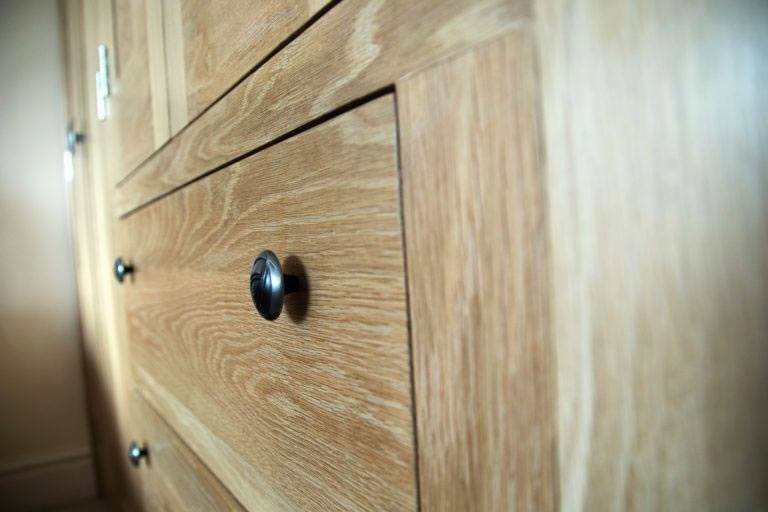 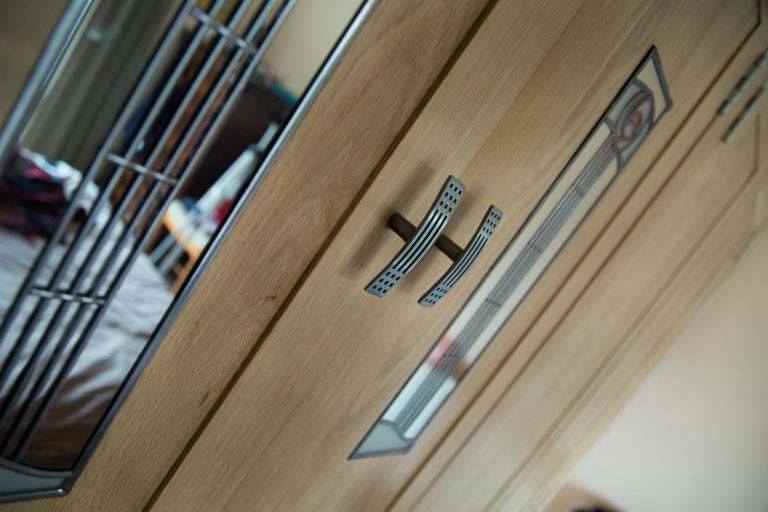 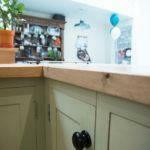 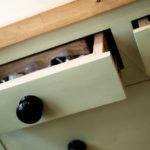 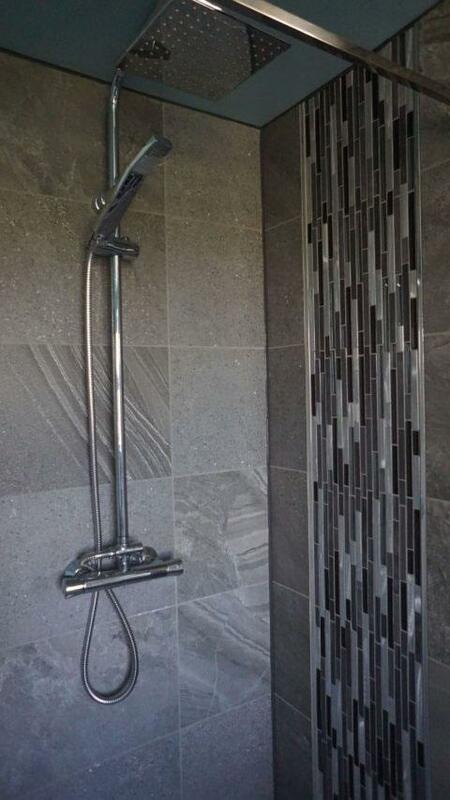 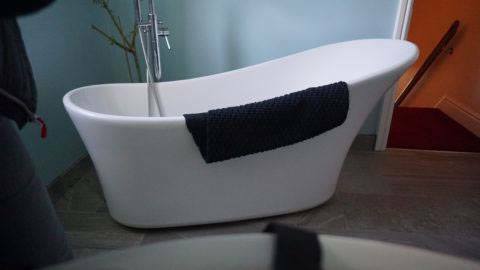 A small but useful storage area was also built into the space above the ensuite bathroom. 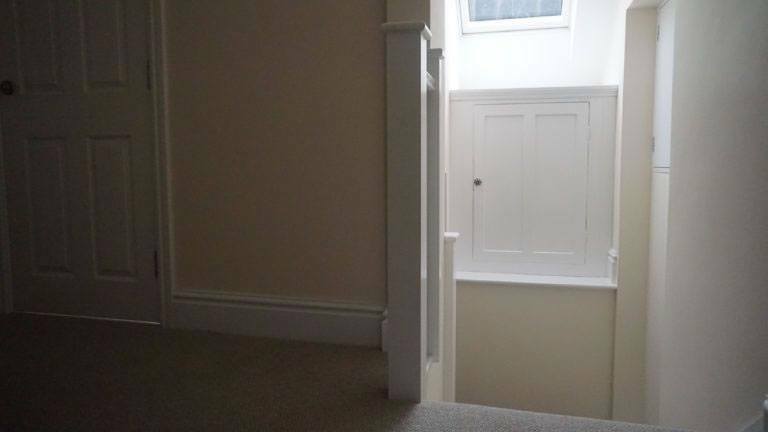 The original landing outside the bedrooms was quite small and dark. 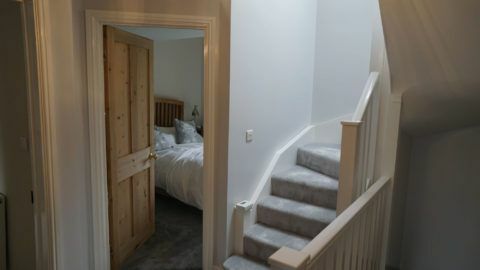 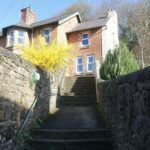 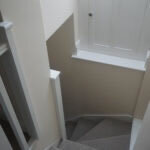 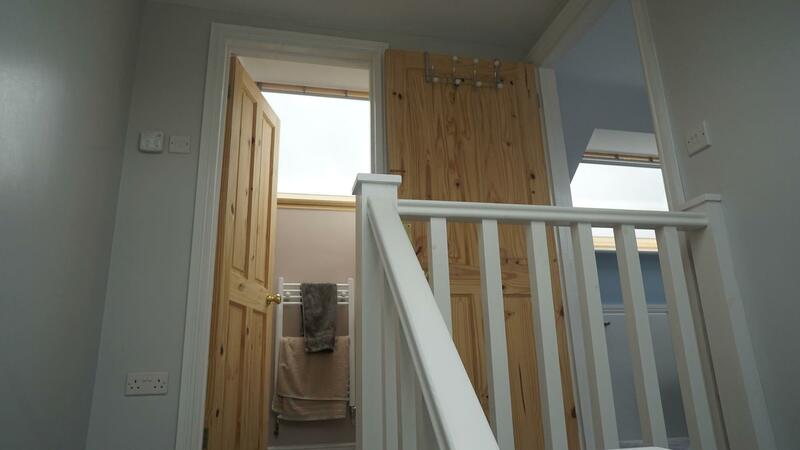 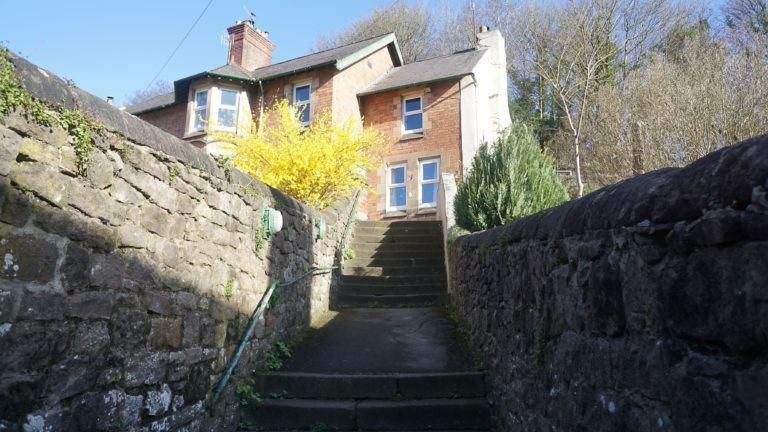 With the additional staircase leading up to the new bedroom and bathroom in the loft and the introduction of a skylight above this, the landing is lighter, has opened out and feels larger. 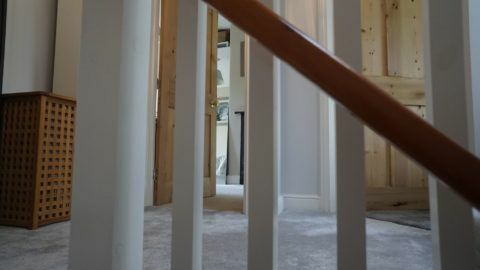 The ground floor staircase leads up onto this landing and and the design of the new staircase mirrors the design of the original one creating a natural, fluent space that feels as if it has always been part of the building. 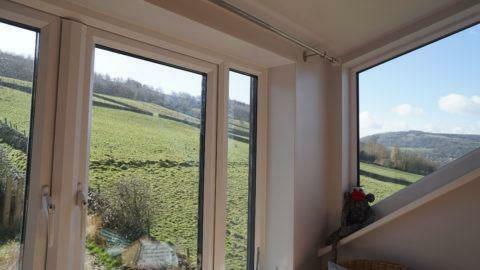 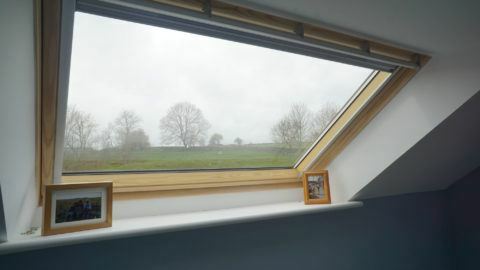 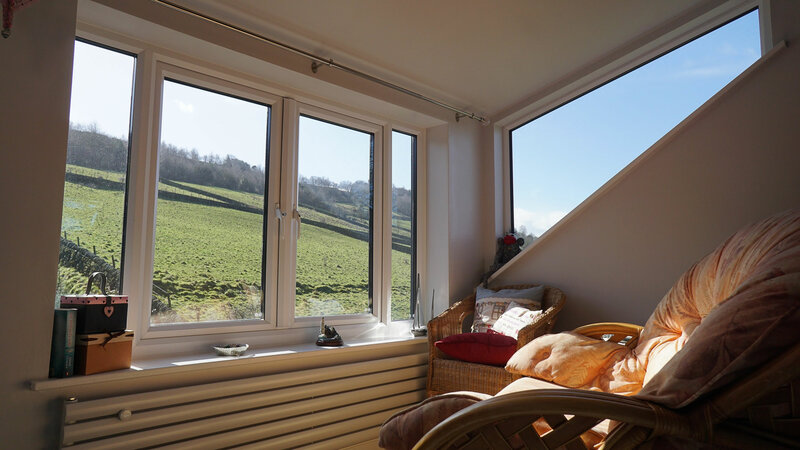 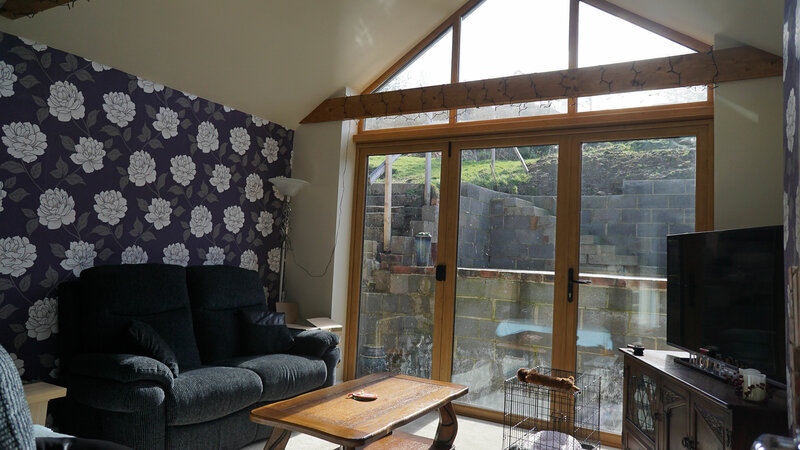 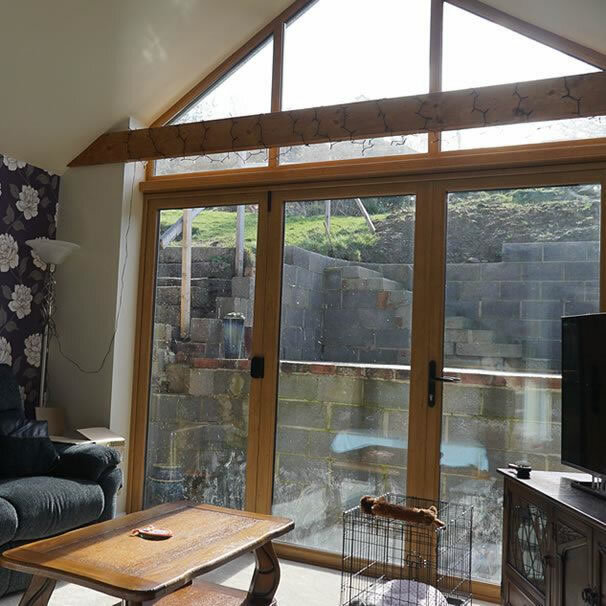 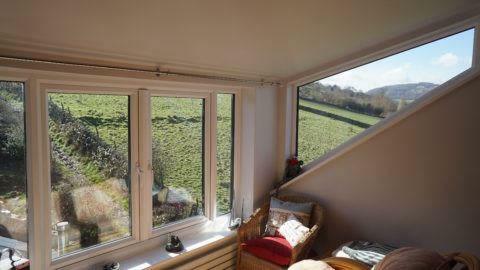 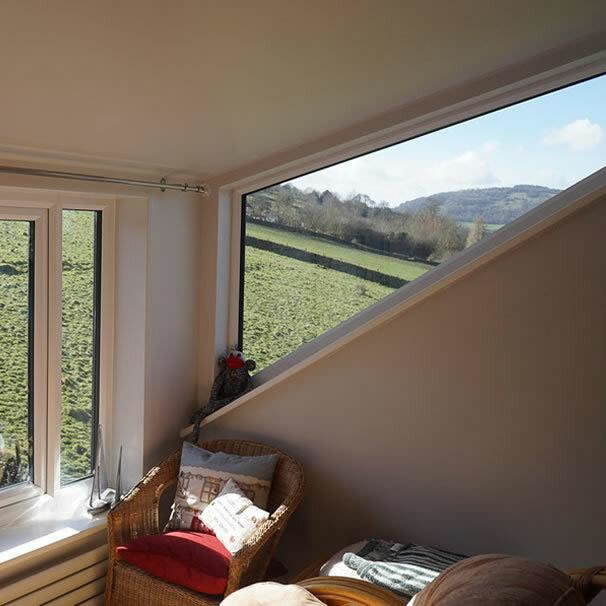 In the loft bedroom two large velux windows make the most of the beautiful countryside outside and bring light and space into the room. I wanted a loft conversion to create an additional bedroom and bathroom in our home but the head height in the existing attic was tricky. 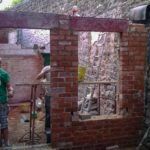 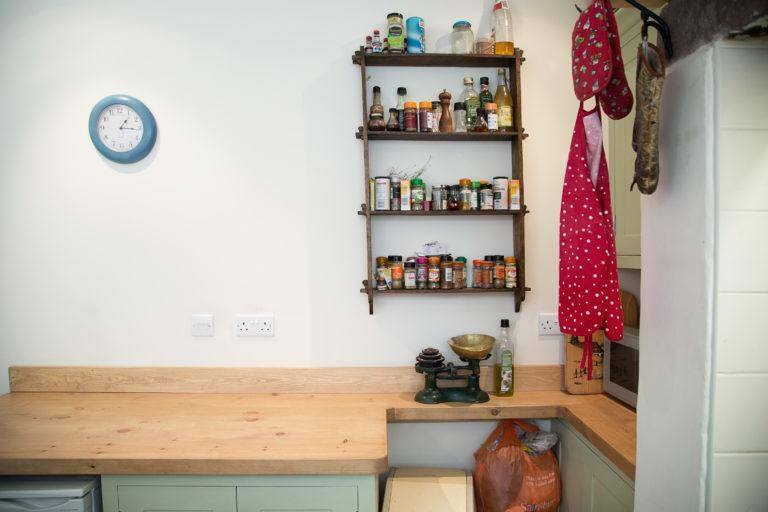 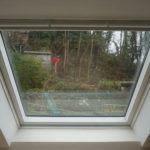 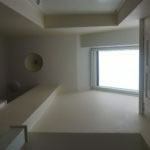 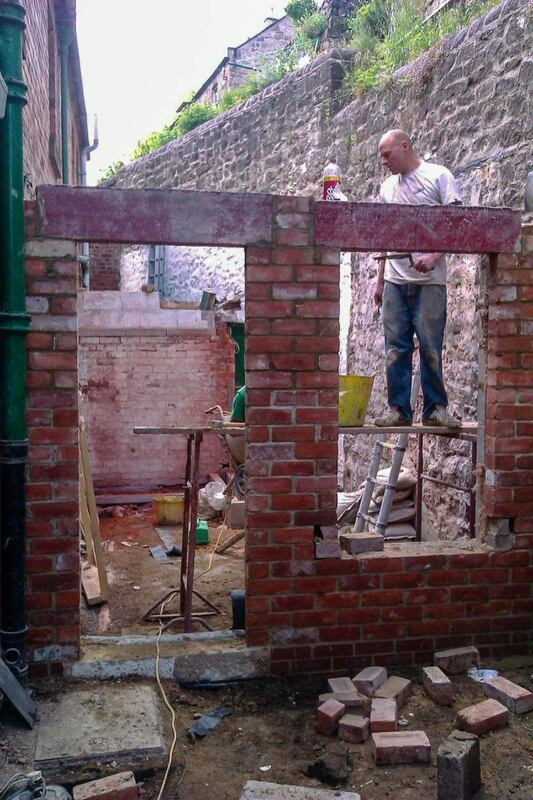 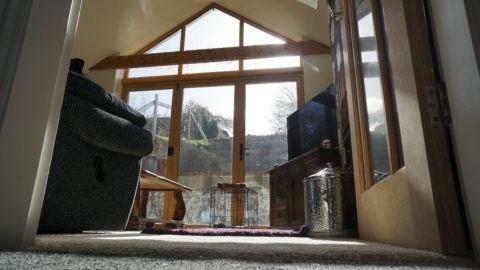 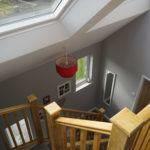 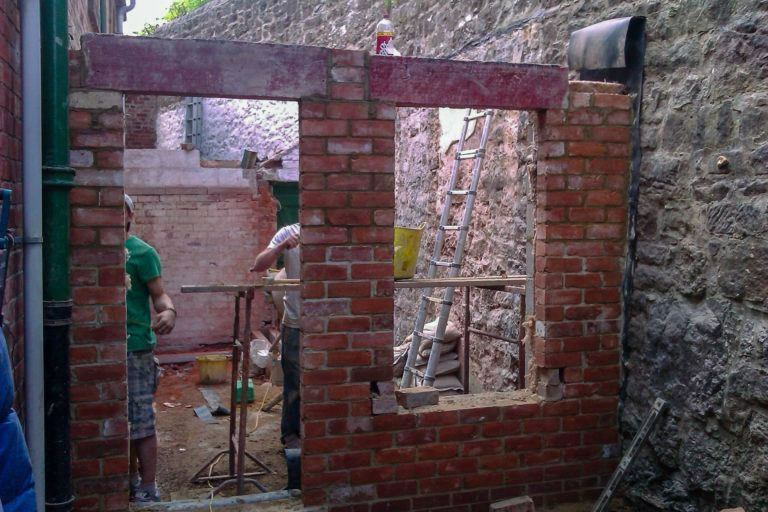 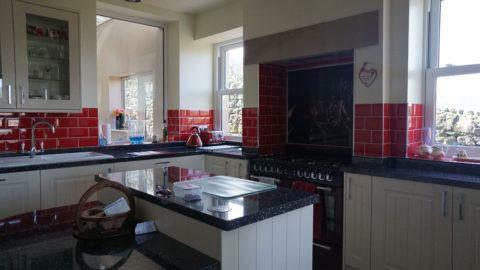 Dave and James came up with a clever solution that involved lowering the ceiling height in the 2 bedrooms below. 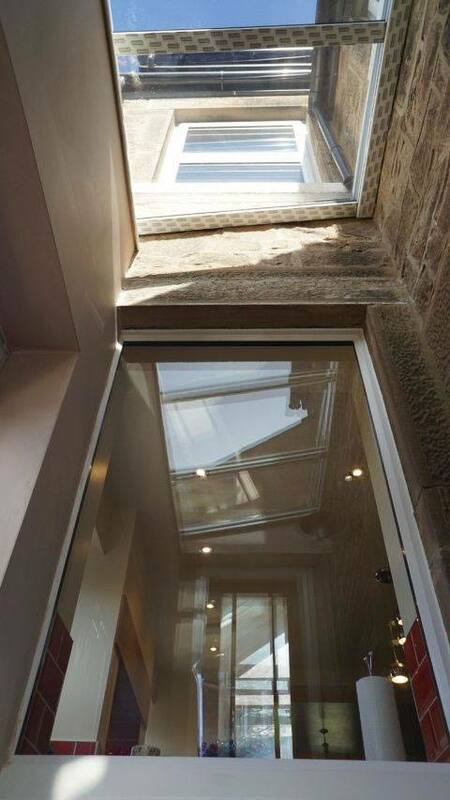 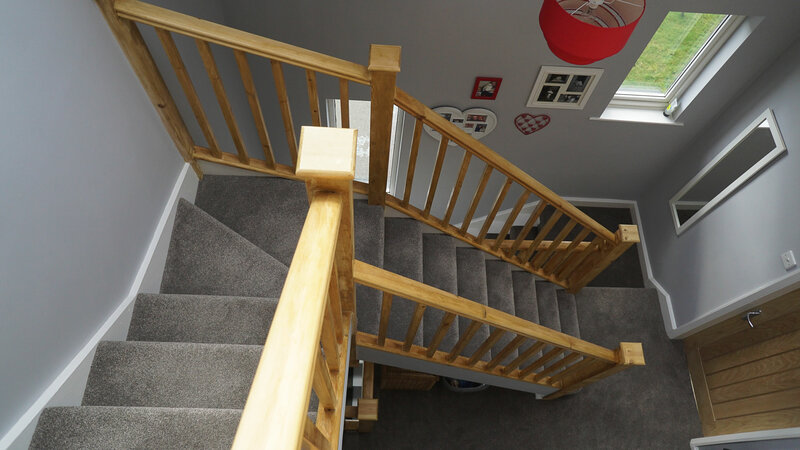 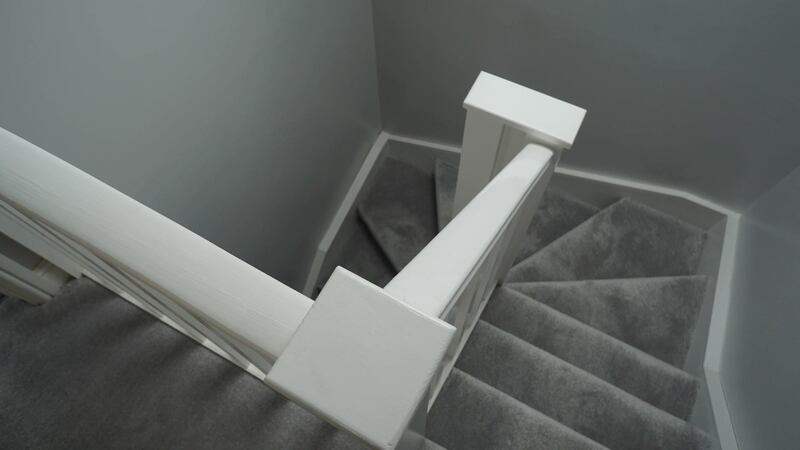 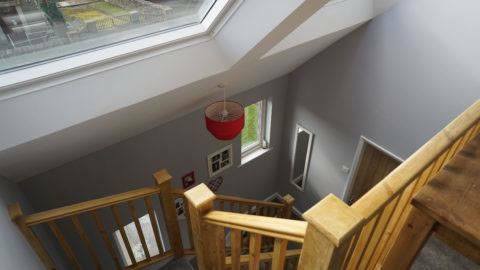 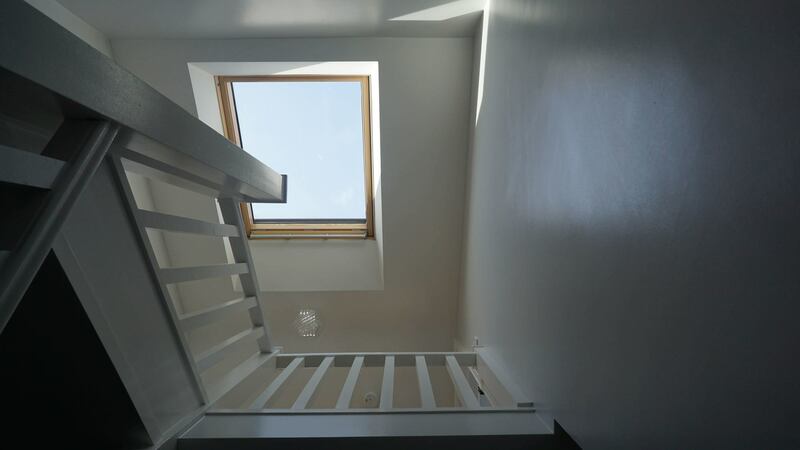 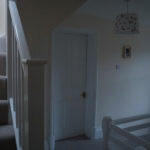 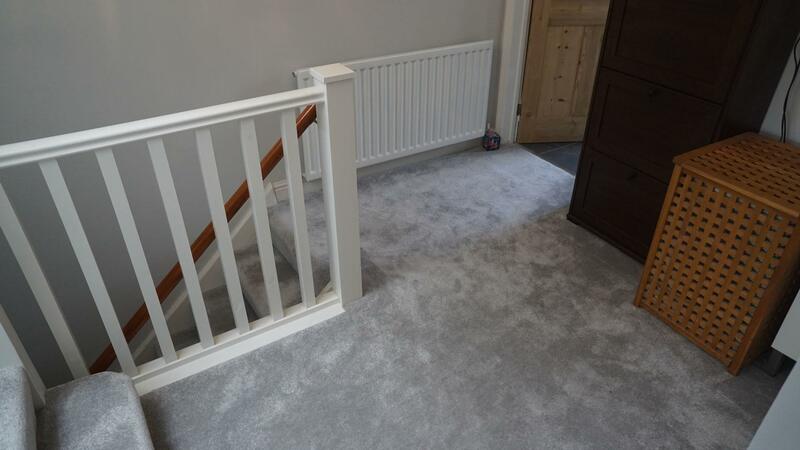 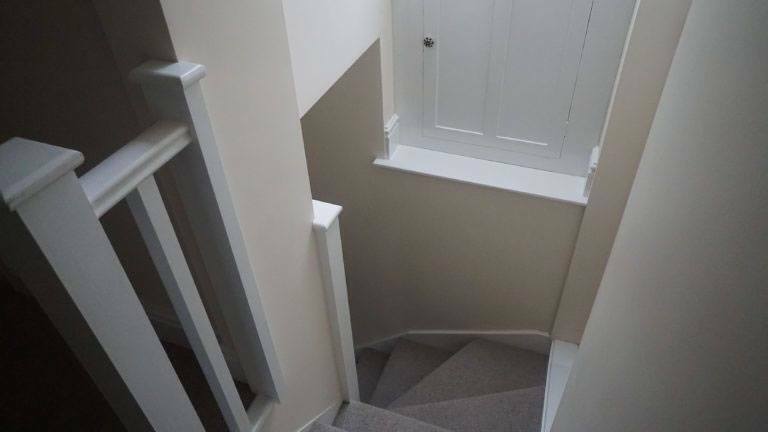 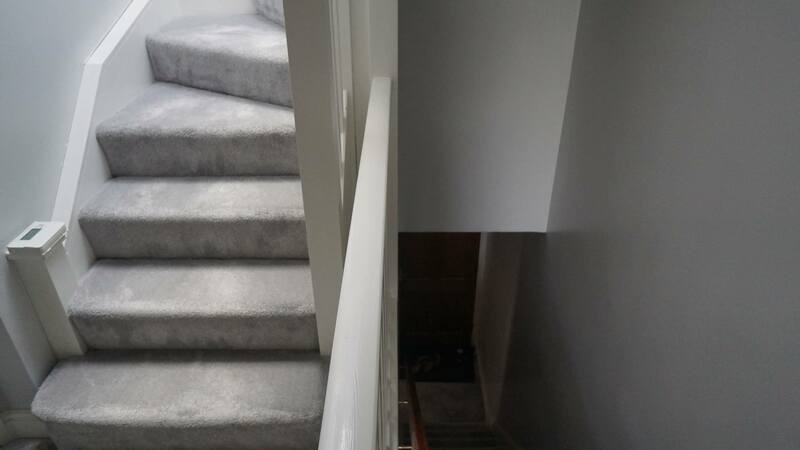 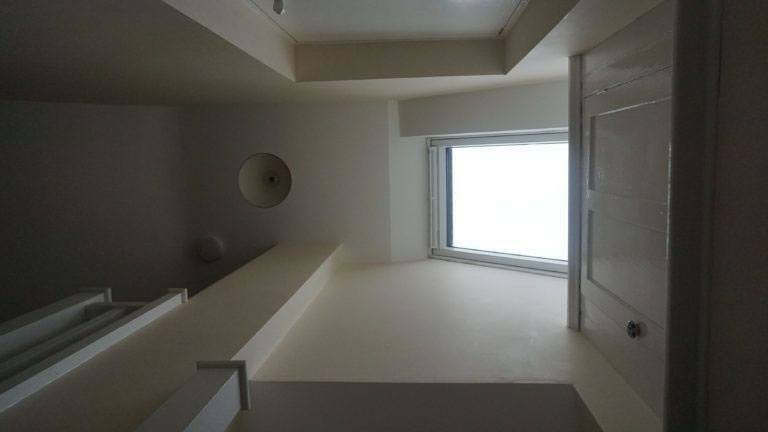 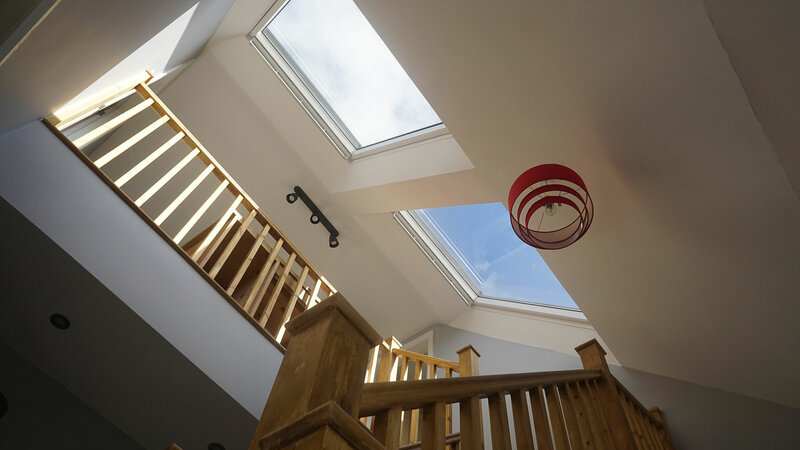 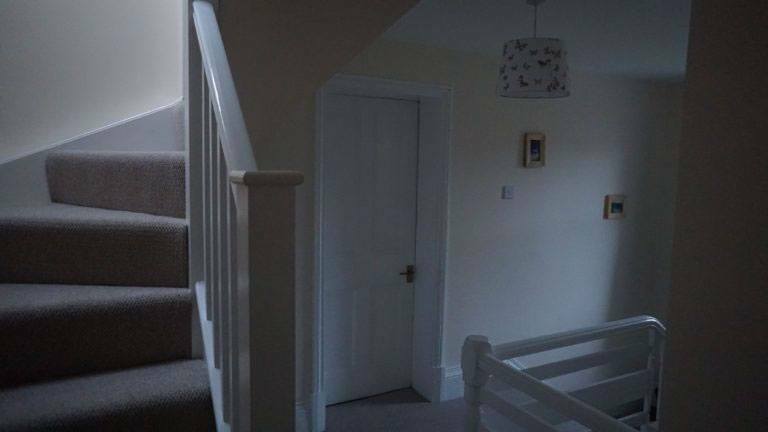 Their recommendation to install a velux window over the stairs brought a lot more light onto the landing and the staircases flow naturally from one floor to the next. 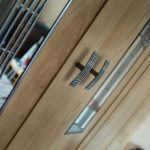 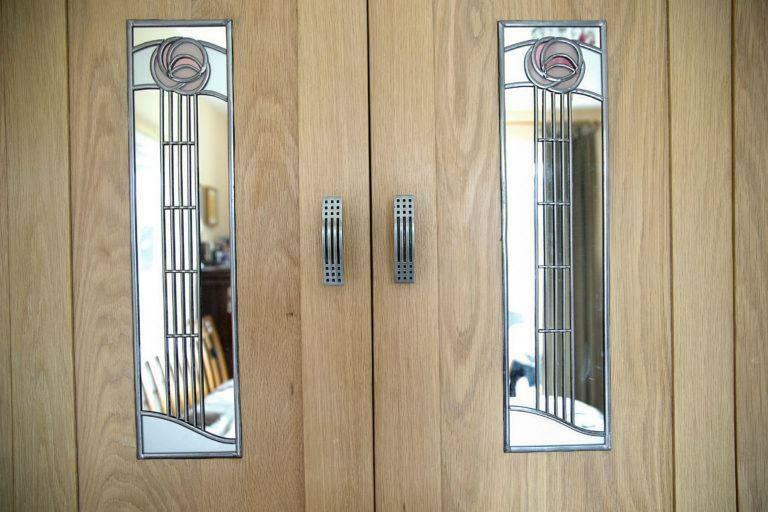 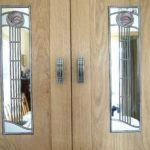 I was very pleased with the end results and the dialogue I was able to have with them about the design process.